SALUS Controls, one of the world’s leading manufacturers of central heating boiler controls, has praised the efficiency and effectiveness of one of its latest products: Mag Defender. Keen to prove its environmental credentials, SALUS developed Mag Defender to improve the efficiency of central heating boilers, the performance of which can suffer over time. Used regularly throughout much of the year, central heating systems are prone to general wear and tear. 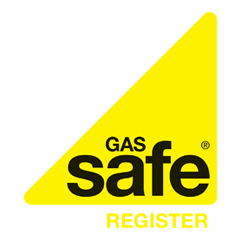 Although annual services ensure that boilers are safe to use, these checks do not cover all maintenance issues. Unfortunately, the performance of boilers is often overlooked during routine safety inspections. Pipes and radiators tend to corrode very slowly, as boilers deposit black iron oxide throughout the central heating system. Although corrosion is minimal, the deposits can cause boilers to suffer from a noticeable performance deficit. Reduced performance invariably limits efficiency, meaning that energy customers have to pay more to heat their homes. Black iron oxide deposits can also build up inside important components such as pumps, heating coils and heat exchangers, thereby increasing the wear rate of these integral parts. Mag Defender is designed to reduce the build up of black iron oxide deposits. Containing a powerful Neodymium magnet, the product is capable of removing almost 100 per cent of deposits via its polypropylene drain valve. Dean Jepson, the Managing Director of SALUS Controls, explained: “It is part of the installer’s arsenal of products to protect and maintain the energy efficiency of both new and existing central heating systems and Mag Defender does this perfectly. “Installing a Mag Defender will not only complement the efficiency of the system, it will assist the heating controls in becoming more effective in reducing heating costs to the homeowner”. SALUS claims Mag Defender is capable of improving the efficiency of central heating systems by up to six per cent. Energy efficiency is an important feature of any central heating boiler or system. In addition to products such as Mag Defender, the latest room thermostats and heating controls can improve energy efficiency throughout the home. The benefits of these components are complemented by other energy-saving measures, such as cavity wall and loft insulation, which reduce the amount of heat loss through the walls and ceiling. Which is the Best Smart Thermostat?